The Hot Tub & Swim Spa Company team are very passionate about what we do. As a family owned and operated business representing and servicing the world’s finest manufactures since 1991, we are experts in selecting and maintaining the perfect solution for your needs. With over 92% client referral rate and multiple European Awards to validate your trust in us, we welcome you to visit our Showroom of the Year 2015 and discover how you can improve your leisure time, health and lifestyle. As one of the largest showrooms in the UK with 70% undercover we look forward to meeting you, 7 days a week. At The Hot Tub & Swim Spa Company we combine genuine creativity, planning rigour and excellence in execution. Our can-do pragmatic approach means we take all the stress out of your project. This is as true for a full spa design and build as it is for an accessory recommendation. Tanby Swimming Pools is a multi award winning family business established in 1966 specialising in the design and construction of luxury indoor and outdoor pools. With over 50 Awards from 2005-2018, including Pool Contractor of the Year, our experienced team will work with our client directly, with an appointed designer, architect, structural engineer or main contractor to help guide you through the process to deliver your dream pool. Our philosophy about good consulting is the client should be able visualise his or her project in detail even before building work starts. And that is why we work with the client to understand their unique style, aspirations and requirements, and once the brief is established, our designers produce sketches, renders and realistic illustrations to show the client a finished product. Technology Swimming Pools team specialises in bespoke luxury pool installations and has worked on a variety of projects, ranging from small plunge pools and spas in Central London basements, to big outdoor pools in the countryside. With our expertise, we can undertake any kind of pool installation including infinity pools, ultra level pools, overflow / deck level pools, moving pool floors and installation in demanding locations. We have an experienced team of qualified pool designers, skilled craftsmen & pool engineers. From initial design through to swimming pool construction and follow-up maintenance, our team combines quality workmanship and careful material selection with a high level of customer service. We have worked with some of London’s finest architects and landscape designers. These experts utilise our advice and swimming pool design services from right the initial stage so that the completed swimming pool harmonises with the overall environment. We have the attitude, education, training, experience and vision to help you make your aspiration come true. Imagine adding another dimension to your home, creating a space where you and your family can relax, have fun, keep fit and entertain. 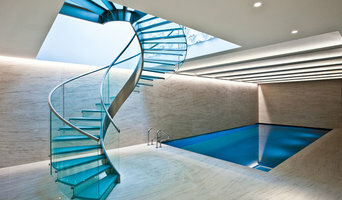 Be it indoor or outdoor, a private swimming pool from Origin does just that. Origin’s beautifully designed pool houses let you swim or exercise in the gym, relax in the spa or sauna, or entertain in the luxurious surroundings of a living area, kitchen or bar, all from the privacy of your garden. The perfect space to relax and unwind, with lighting, sound and water movement designed to create the perfect keep fit, chill out or social space for you and your family. For over 35 years, Origin has helped thousands of families to design and build their dream home swimming pools. A SPATA multi-award winning company, we are proud to have a reputation synonymous with quality, luxury and the highest standards of swimming pool design, offering the best customer service and support every step of the way. A successful swimming pool project requires input from multiple professionals, all working together. Our dedicated team of architects, swimming pool designers, engineers and project managers do just that, so you can take a step back and watch as your vision becomes a reality. From initial consultation and planning, through the design stage and during the building process, to the moment you start enjoying your new private swimming pool and beyond, Origin is unique in that we oversee the whole project from start to finish. Whether you choose the elegant and efficient Olympic range, the beautifully traditional Barn range, the simplistic and streamlined Blueprint range, or a completely bespoke design, we will guide you through the detailing options to create a swimming pool that’s perfect for you and your family. A swimming pond or natural swimming pool is specifically designed so you can swim in pure, clear water with no chemicals. Its design can range from formal to entirely natural, and it is all at once a practical swimming facility, a beautiful landscape feature and a wildlife sanctuary. Carmenta Wellness is proud to lead the industry in the design and manufacture of wellness suites. Our composite materials give professional architects, specifiers, designers and home owners alike, the opportunity to create truly stunning wellness suites. Automatic Swimming Pool / Spa Safety Covers The Aquatrac automatic safety cover was developed in the UK over 20 years ago. It was designed primarily to provide safety for a growing number of domestic pools in the late 80's. The famous rolls royce photo was a genuine test to prove the strength of the cover beyond question. It soon became apparent that the Aquatrac was an extremely Effect Cover for all seasons providing unparalleled ease of operation, in addition to heat retention and labour saving benefits. There are now over 2,000 covers installed in and around the UK. There are four models to suit all types of pools and a continuing commitment to be Britains best known and most reliable Swimming Pool Safety Cover. We are the Bespoke Swimming Pool Company, we offer a range of services including Swimming Pool Design, Swimming Pool Build and Swimming Pool Installations. We also supply automatic swimming pool covers and swimming pool accessories. We also offer Swimming Pool Repairs or Swimming Pool Refurbishments for people looking to get their existing swimming pools rebuilt. Our pool builders have a combined experience in this field of over 25 years and we have many happy customers from all over the world. 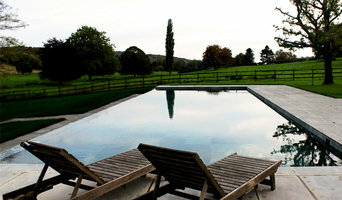 We specialise in swimming pools in the South East of the UK and surrounding areas. Experienced in Swimming Pools and Spas for over 30 Years Keston Pools & Spas relocated to the Wyevale Garden Centre from Biggin Hill in 2010. Our showroom is lavished with a Mosaic tiled Swimming Pool, Hot Tubs, Garden Buildings and Gazebos for all to come and view before you buy. We also stock all your Water Treatment products as well as the essential swimming pool maintenance items along with a great range of toys and games. Since 2010 Keston Pools and Spas have built a large local maintenance service providing our long standing customers with a safe and clean swimming pool and spa environment. Our online store makes it easy to click and collect or have delivered direct to your home and installed by our engineer on the next visit. Pools and relaxing spa can make your life easy as we can offer a lot of different designs. Aegean Spas products blend pure luxury with leading-edge health, fitness and wellness benefits. With certified dealers and showrooms across the country, no one else can offer you the same variety of exclusive spas and service. Mermaid Pools All our engineers have been highly trained to install, service and repair all of the products that we supply and install. This means we can install and maintain products to the highest standards, we also carry out manufacturer’s warranty repairs on the majority of products we sell, enabling us to provide prompt, professional service when you need it the most. Our engineers have been providing a high quality service since 1982; we are one of the largest and longest standing pool construction and maintenance companies in the south-east of England. Our company has led to successful development over the years, and we are experts in designing, building and maintaining all aspects of swimming pools and spas, from the smallest projects and most detailed, to major projects to meet the needs of our clients. Of course, we don’t all have the room, money or climate for our own swimming pool, but hot tub prices are usually less than swimming pools' and are a more compact, weather-enduring option, too. With Biggin Hill, Kent hot tub suppliers available on Houzz, you can compare prices, photos of hot tub installations, reviews, recommendations and ratings from previous clients. 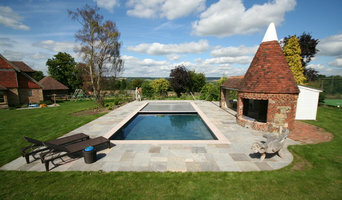 How will Biggin Hill, Kent hot tub and swimming pool builders install my pool/hot tub? Do you want your Biggin Hill, Kent swimming pool builders or hot tub suppliers to help you with maintenance and repairs? Find swimming pool builders or specialists on Houzz. Narrow your search in the Professionals section of the website to Biggin Hill, Kent swimming pool builder or hot tub supplier. You can also look through Biggin Hill, Kent photos by style to find a swimming pool installation or hot tub installation you like, then contact the specialist or builder who designed it.